Shimadzu, one of the world leaders in analytical instrumentation, has released its GCMS-QP2020 high-end single quadrupole gas chromatograph mass spectrometer. With excellent performance and smart operability, the instrument satisfies a wide range of needs for single quadrupole GC-MS systems. The GCMS-QP2020 achieves the highest sensitivity in its class and enables high-speed performance for many applications. The new turbomolecular pump with improved exhaust efficiency provides higher accuracy in analysis, even when hydrogen or nitrogen in addition to helium is applied as the carrier gas. The GCMS-QP2020 also features a function enabling switching of ionization modes without stopping the mass spectrometer as well as ultra-fast scan performance, which allows the use of various analytical conditions. The GCMS-QP2020 with Shimadzu's many specialized databases and application software enables configurations tailored to a multitude of applications and purposes. 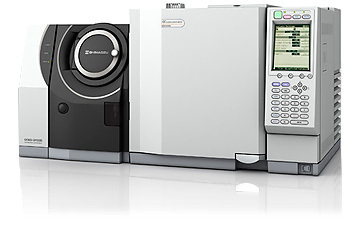 The GCMS-QP2020 provides not only high-sensitivity and high-speed performance, but can also be used for a wide range of applications with enhanced, specialized databases designed for specific purposes, including the testing/inspection of food, pharmaceutical, chemical as well as the environmental applications. Beyond the GCMS-QP2020, Shimadzu offers the entry model GCMS-QP2010 SE and the flagship GCMS-TQ8040 triple quadrupole model to satisfy all types of laboratory requirements. In addition to a high-performance ion source and high-accuracy MS filter, the system incorporates a newly developed large-capacity differential exhaust turbomolecular pump. With this new pump, hydrogen and nitrogen in addition to helium can be applied as the carrier gas. Furthermore, it allows operators to switch ionization modes without stopping the MS and achieves ultrafast scanning, which enables the use of a wide variety of analytical conditions. The Smart SIM method creation function automatically creates programs to obtain data only during the elution time of the target component, thereby achieving high sensitivity. Even during multicomponent batch analyses, the system can perform measurements without lowering the sensitivity. It allows simultaneous analysis of more than twice as many components as previous models. In addition, measurements that used to be divided into multiple methods can now be integrated into one method. LabSolutions Insight software, which allows quantitative results for a complete set of data files to be displayed simultaneously, enables significantly improved multi-analyte data review. Numerous configurations are available to suit the components targeted for analysis and the form of the samples, including gas, liquid and solid samples. Moreover, users may select from a variety of databases built to meet specific analyses, including environmental analysis, foods analysis, volatile compound analysis, biological sample analysis and forensic analysis. All of the databases include retention indices to support more accurate qualitative analysis, convenient quantitative method development and screening analysis. The product lineup includes systems specially developed to analyze the off-flavor components or phthalate ester to provide a total solution in performing complicated analyses reliably with simplified procedures. Shimadzu has released its GCMS-QP2020 high-end single quadrupole gas chromato-graph mass spectrometer. With excellent performance and smart operability, the instrument satisfies a wide range of needs for single quadrupole GC-MS systems, e.g. testing/inspection of food, pharmaceutical, chemical and environmental applications. The GCMS-QP2020 achieves the highest sensitivity in its class and enables high-speed performance for many applications.